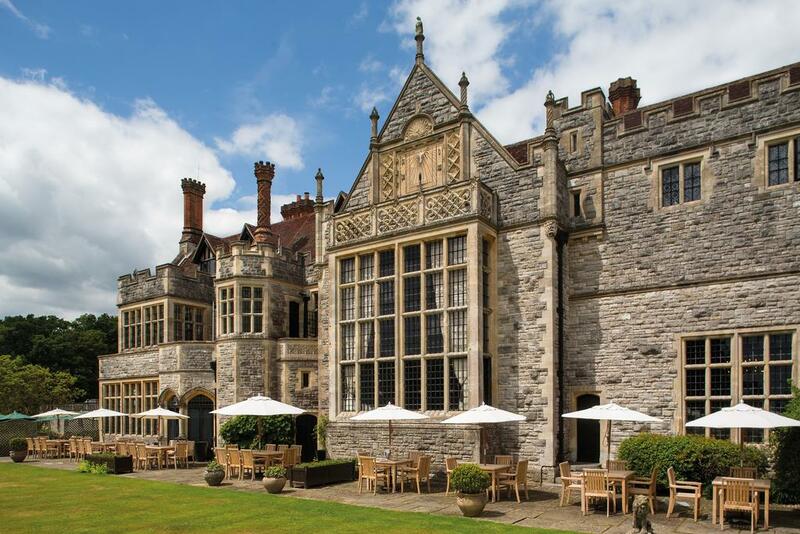 Rhinefield House Hotel in the New Forest is incredible – it really has the WOW factor! I love pulling up in the driveway and seeing this truly magical venue. It’s a warm and cosy venue and they make sure you feel right at home from the very minute you arrive. They really cannot do enough for you, the food is out of this world and it always leaves you wanting more! They have over 50 luxury rooms for your guests to stay in and the bridal suite has a stunning cast iron roll top bath over looking the beautiful grounds and the lakes. You will not want to leave. This venue is perfect for a summer or winter wedding. The gardens are perfect for a summer ceremony and the roaring fires are perfect for a cosy and indulgent winter wedding. Myself and the team love getting our brides ready at Rhinefield House Hotel, the beautiful rooms are perfect for applying makeup and styling hair. We always feel privillaged to be doing brides at Rhinefield House Hotel as it’s such a magical wedding venue.